Florida slot machine casino gambling consists of over 25,000 gaming machines at pari-mutuel race tracks, American Indian tribal reservations, and off-shore cruise ships. Of the many racetrack wagering facilities in Florida, only those located in the counties of Broward and Miami-Dade, home to Miami and Fort Lauderdale, have gaming machines. The seven tribal casinos in the state are owned and operated by Florida’s two-federally-recognized American Indian tribes. Along with the aforementioned racinos, these tribal casinos are located near Tampa or in southern Florida. Offshore casino cruises consist of day-long casino boats traveling just out to international waters as well as an assortment of multi-day cruise ships traveling to international destinations with on-board Vegas-style casino gambling. Historically, Florida has a long history of gambling, starting 100 years before gaming became legal. For example, at his first hotel, the Ponce de Leon in St. Augustine in 1888, Henry Flagler created the exclusive and famous Bacchus Club Casino. 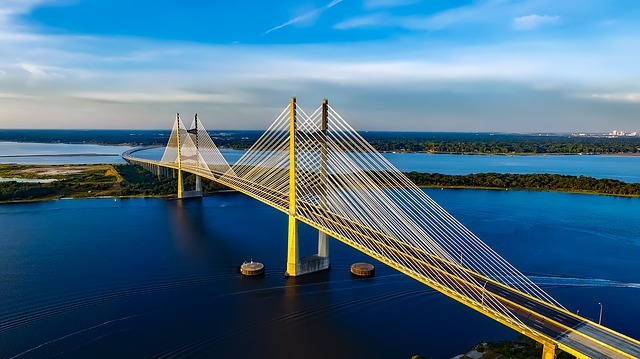 Dames Point Bridge in Jacksonville [Florida Slot Machine Casino Gambling 2018]. State gaming regulations have authorized slot machines at pari-mutuel wagering race tracks located in Broward and Miami-Dade Counties. These counties contain the cities of Miami and Fort Lauderdale in southern Florida. In Florida, it is legal to privately own a slot machine if it is at least 20 years old. South Beach in the city of Miami Beach [Florida Slot Machine Casino Gambling 2018]. In Florida, the Division of Pari-Mutuel Wagering within the Department of Business & Professional Regulation (DBPR) authorizes and regulates horse racing, harness horse racing, greyhound racing, jai alai games, and cardroom poker games. Overall, the DBPR has licensed 39 pari-mutuel wagering facilities in Florida. However, slot machine gaming is only authorized at pari-mutuel wagering facilities located in Broward and Miami-Dade Counties. However, the DBPR does not have any authority to regulate the lottery, bingo, or casino cruises to international waters. Instead of the DBPR, the Florida Lottery regulates the lottery. Furthermore, Florida has one of the largest lotteries in the U.S, and is considered an industry leader. Voters established it with a two-to-one margin via constitutional amendment in 1986. The proceeds of the Florida Lottery go toward public education in the state, providing more than $1 billion each year for the last 16 years for a total of more than $33 billion since its inception. Finally, tribal gaming is regulated by the Indian Gaming Regulatory Act (IGRA) of 1988. Under this federal law, Florida’s two federally-recognized American Indian tribes were able to eventually open and operate casinos offering Class II bingo-style gaming. However, the Seminole Tribe of Florida has successfully negotiated a tribal-state compact allowing them to offer Class III Vegas-style gaming at their casinos. 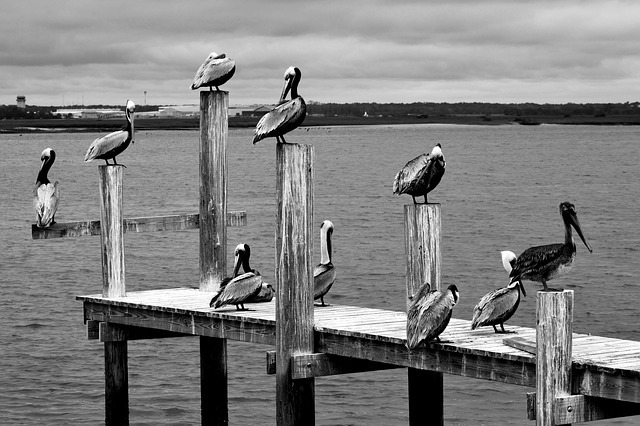 10 Pelicans on a Wooden Dock [Florida Slot Machine Casino Gambling 2018]. There are many pari-mutuel racing facilities in Florida. However, only the 8 pari-mutuel racetracks located in Broward County and Miami-Dade County offer gaming machines and are, therefore, strictly speaking, the racinos of Florida. In addition, there are also 7 American Indian tribal casinos and 2 day-long cruise boats based in Florida. The largest casino in Florida is Seminole Hard Rock Hotel & Casino Tampa in Tampa, having over 4,000 gaming machines. The second largest casino in Florida is Seminole Casino Immokalee located 35 miles northeast of Naples, having 1,300 gaming machines. Here is my list of Florida casinos including website links. The Big Easy Casino in Hallandale Beach having over 500 slot machines, formerly known as the Mardi Gras Casino. Calder Casino & Race Course in Miami Gardens having nearly 1,100 slot machines..
Casino Miami in Miami having over 1,000 slot machines. The Casino @ Dania Beach in Dania Beach having 900 slot machines. Gulfstream Park Casino in Hallandale Beach having two floors of slot machines. Hialeah Park Casino in Hialeah offering slots and electronic table games. The Isle Casino Racing Pompano Park in Pompano Beach having nearly 1,500 slot machines. Magic City Casino in Miami having 800 slot machines. Big Cypress Reservation in southeastern Hendry County and northwestern Broward County located south of Lake Okeechobee. Hollywood Reservation (formerly Dania Reservation) in Broward County located near the town of Hollywood. Immokalee Reservation in Collier County located near the town of East Naples. Tampa Reservation in Hillsborough County located near the city of Tampa. Of the eight American Indian tribal casinos in Florida, seven are operated by the Seminole Tribe while the eighth is operated by the Miccosukee Tribe. Miccosukee Resort & Gaming located in Miami. Seminole Casino Big Cypress located 60 miles northwest of Fort Lauderdale. PERMANENTLY CLOSED in 2017. Seminole Brighton Casino located 75 miles northwest of West Palm Beach. Seminole Casino Coconut Creek located 25 miles north of Fort Lauderdale. Seminole Casino Immokalee located 35 miles northeast of Naples. Seminole Classic Casino located 1 mile south of Fort Lauderdale. Seminole Hard Rock Hotel & Casino – Hollywood located 1 mile south of Fort Lauderdale. Seminole Hard Rock Hotel & Casino – Tampa located in Tampa. Storm Clouds Over Water [Florida Slot Machine Casino Gambling 2018]. Tropical Breeze Casino located 37 miles northwest of Tampa with nearly 100 gaming machines including video poker. Victory Casino Cruises-Cape Canaveral located 60 miles southeast of Orlando with over 600 slots on board. Victory Casino Cruises-Jacksonville – Closed in 2017, but may re-open. As an alternative to enjoying Florida slot machine casino gambling, consider exploring casino options in a nearby state. Each of the above links will take you to my state-specific blog for that bordering state to Florida. Florida’s tribal casinos do not have legal minimum or maximum limits on their slot machine payout return percentages, nor do they make actual payout return statistics publicly available. However, those racinos regulated by the state of Florida legally requires the gaming machines at casinos in Broward and Miami-Dade Counties to have a minimum payout return of 85%. Florida’s Division of Pari-Mutuel Wagering also provides actual payout return statistics. These actual payouts are separated by month and provided for each casino. The Year-To-Date Average Payout Percentage for all casinos in July 2018 was Credits Out divided by Credits In times 100% equals $635,126,477 / $688,645,686 x 100% = 92.22%. If you’re wondering which of these racinos has the best payout returns, make sure to check the most recently published payout return statistics for Florida’s racinos. Panoramic View of the City of Miami [Florida Slot Machine Casino Gambling 2018]. Florida slot machine casino gambling consists of 8 pari-mutuel racinos in Broward and Miami-Dade Counties of southern Florida as well as 7 American Indian tribal casinos. As usual, payout return limits are not legally limited by existing tribal-state compacts. Again as usual, no payout return statistics are publicly available from these tribal casinos. However, gaming machines at Florida’s racinos are legally required to be no less than 85%. As usual, casinos do not generally set their average theoretical payout returns this low for sound business reasons. As has been provided, each racino’s actual payout returns are publicly available by month on the Florida gaming commission website. In the last year, one tribal casino and one casino boat have closed. The permanently closed tribal casino was the Seminole Casino Big Cypress, formerly located 60 miles northwest of Fort Lauderdale. The day-long casino cruise boat by Victory Casino Cruises which closed in 2017 sailed out of Jacksonville, but may eventually re-open. Note that the Victory Casino Cruises which sail out of Cape Canaveral continue to remain in operation. 2017 Archive: Florida Slot Machine Casino Gambling 2017 – Florida slot machine casino gambling includes casino boats cruising in international waters, eight American Indian tribal casinos, and pari-mutuel racing facilities across the state. However, only the pari-mutuels in the Broward County hosting the cities of Miami and Fort Lauderdale have electronic gaming machines. Previous: District of Columbia Slot Machine Casino Gambling 2018 – District of Columbia slot machine casino gambling does not exist. This U.S. federal district is entirely made up of Washington, the capital of the United States. The nation’s capital has no casinos and therefore no slot machines. However, the relatively nearby states of Maryland and Virginia offer several casino options. Next: Georgia Slot Machine Casino Gambling 2018 – Georgia slot machine casino gambling consists of a single casino boat making daily trips 3 miles off shore where casino gambling is not illegal. Casino boats operating in international waters are not legally required to have minimum or maximum payout returns, nor do they typically report actual payout return statistics.